Lyman S. (Steve) Cordon passed away unexpectedly September 10, 2018. Born April, 16th 1930 in Salt Lake City, Utah, Steve was raised in Ashton Idaho where he graduated high school and entered the Army Air Corps in 1947. Steve was first stationed at Wendover Air Field and after stops at Otis AFB Cape Cod Massachusetts subsequently transferred to Presque Isle Air Force Base, Maine where he met the love of life Nancy Jandreau. Steve was transferred to Kimpo AB Korea and returned state side in November 1953. 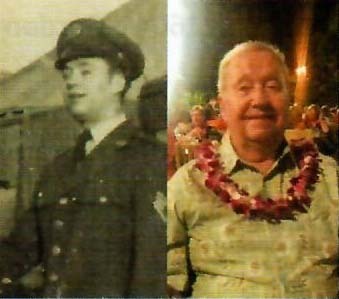 He and his family traveled extensively during his Air Force career including stops in California, Japan, Okinawa, New York and finally Hill AFB Utah where he retired in 1969 with 22 years of faithful service. Later that same year, Steve found a new career with the Clearfield Job Corps center, a span that lasted until 1992 where he finally retired after 23 years. Steve loved ballroom dancing to the sounds of the big band era; he and his wife spent many nights gracing the dance room floor to the envy of many couples. Steve had an insatiable zest for life, he loved to travel and his wanderings found him in Germany, Puerto Vallarta, Mexico and his favorite destination Hawaii, where he traveled to quite frequently. Up until recently he got involved with riding in an ATV and thoroughly enjoyed the trails down in Marysvale. Steve moved from his home of 36 years on Fairfield Rd in Layton needing to down size to a patio home after his wife Nancy was diagnosed with Alzheimers for her safety. Steve was her loving, sole caregiver until 2008 when he received help from Hospice. Over the last 12 years Steve has made many new friendships, and his neighbors are more like family. His family appreciates all the love, support and care they have provided to him over the years. Steve is preceded in death by his father Ralph Cordon, mother Mabel Cordon, his wife Nancy of 57 years, and 8 siblings. Steve is survived by his son Gary (Donna) Cordon, daughter Pam (Larry) Wing, 8 grandchildren, 15 great grandchildren and 2 great-great grandchildren. Funeral services will be held Saturday, September 22, 2018 at 11 a.m. at Lindquist’s Layton Mortuary, 1867 No. Fairfield Road. Friends may visit family Saturday from 9:30 to 10:30 a.m. at the mortuary. Interment, Lindquist’s Memorial Park at Layton, 1867 No. Fairfield Road.